On Monday, I returned from holiday at my favourite Body Holiday in St Lucia. I was lucky to miss the hurricanes and had gorgeous weather, lovely spa treatments and met some great people. In case you missed my full review, you can read it here. Before I went to St Lucia, I did a bit of shopping at ASOS and bought these gorgeous PJs. I had seen Lily Pebbles with some very similar ones but they were sold out. But then I saw these with the flamingo & palm print and knew they were the ones for me. They are made of super sort cotton, have a long-sleeved top but with shorts. Perfect. I have a few pieces from Elizabeth Scarlett in various different colours and I love them all. Each piece of the Elizabeth Scarlett collection is limited and pays homage to founder Elizabeth Scarlett Elsey’s textile background. Her luxury bedding, pouches, cushions and beach bags carefully demonstrate a love of embroidery. The Elizabeth Scarlett hand painted designs which include iconic pineapples, palm trees and jungle leaves, as well as delicate jasmine, lavender and bamboo plants are just stunning. Next on my list is pink & pineapple velvet cushion. I recently bought this camera and have been really enjoying using it. The screen flips out making it really easy to take a selfie and potentially vlog from if I get brave enough to start doing videos. I like to have options so figured I might as well have a camera that could do it. I considered the Olympus Pen, yes it looks very cool, but it's quite chunky and I found it annoying that the screen flipped down not up. Why? You cannot put it on a tripod and be able to see what you are filming or taking a photo if you are in the pic. 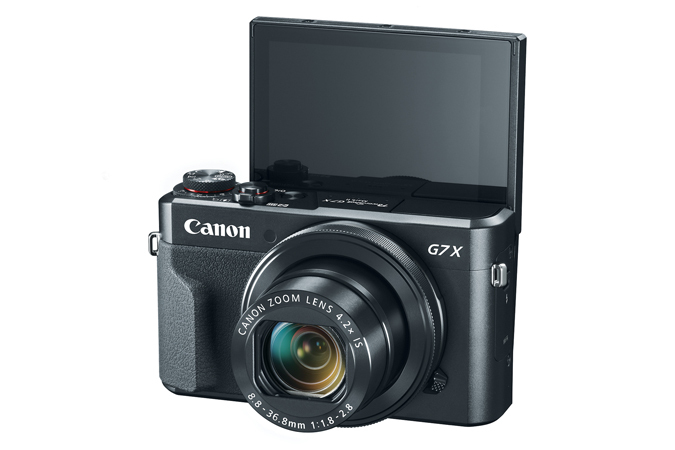 It also has built in Wi-Fi making it super easy to get the photos from the camera and straight onto Instagram. No need for annoying cables! I bought mine from John Lewis as they offer a 2-year guarantee, a year more than most other retailers. 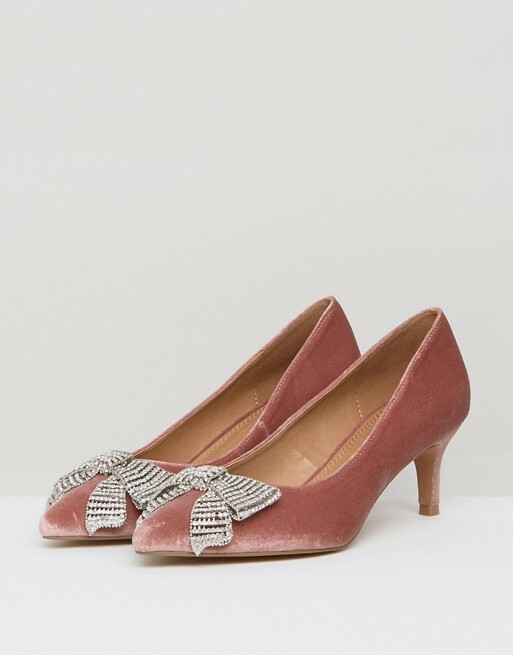 This season, ASOS have some fabulous shoes. These are two of my favourites and both make a real statement. I saw these shoes on Rosie Londoner's Instagram and I had to have them! I was not disappointed when they arrived, they're actually even better in the flesh. 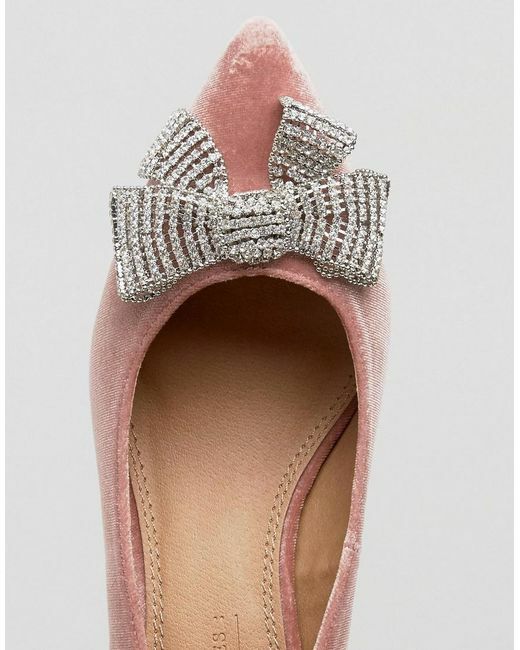 The sparkly bow has a bit of movement so it catches the light perfectly and the kitten heel means I could wear them all night. The cherry on top, they are only £30! Secondly, these loafers have a lovely almond-shaped toe, adding a feminine vibe to a more masculine style shoe. The fake fur adds texture to an outfit and I think they will look great paired with skinny black jeans. And another bargain at £25. Well done ASOS! A lovely contemporary art gallery, Sister Gallery, has opened just around the corner from where I live. The gallery will exhibit sculpture, paintings, prints & ceramics and when an invitation dropped through my letterbox to attend a private view of work from Harriet Hoult and Tara Dinic I thought, why not? 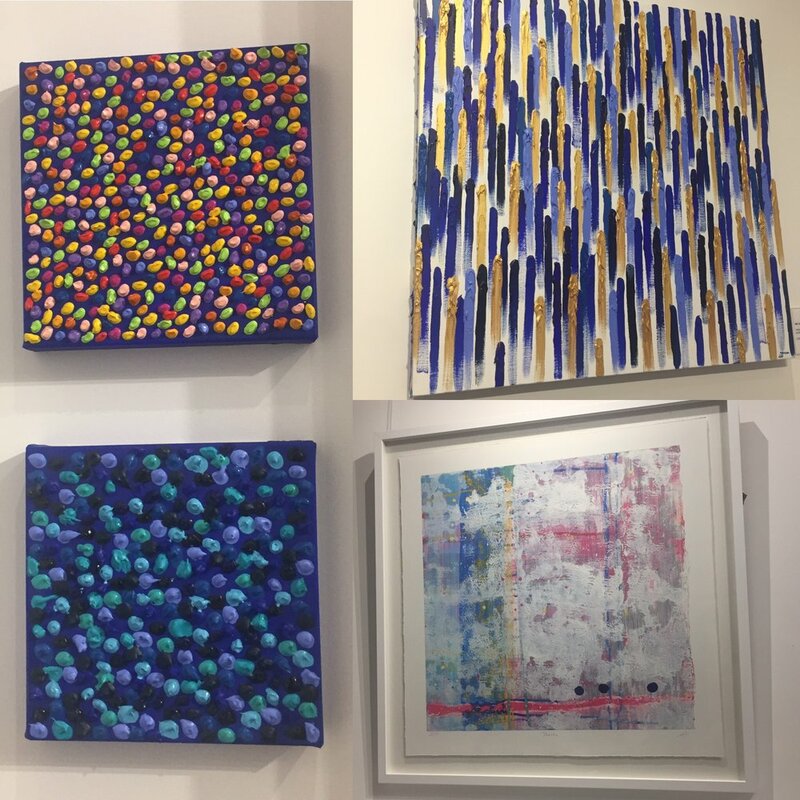 There were lots of lovely pieces, the trouble is, trying to decide which one I would like to have in my home! I discovered the Calm app via House Curious. At first, I just used the free version but I've been enjoying it so much, I've now subscribed. Combining Meditation, Mindfulness & Relaxation, Calm brings clarity, joy and peace to your daily life. 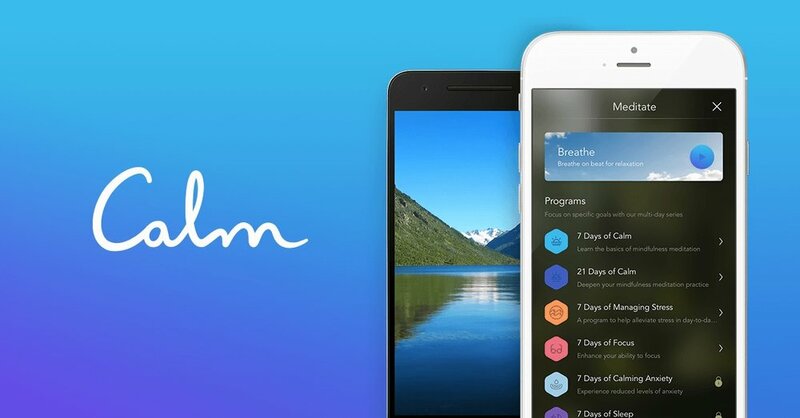 It's the number one app for Mindfulness & Meditation so it's definitely worth a look. Whilst it might sound a bit cheesy, the part I love most is the sleep stories. if you're anything like me, when you turn the light off and try and go to the sleep that's when my mind starts racing. The sleep stories help my mind switch off and the slow, melodic voice of the narrators, including Stephen Fry, really help to send me off to sleep. And finally, one of my favourite moments this month was a family lunch with my amazing grandparents. This time last year, my grandfather was not doing so well, now look at him. Can you believe my grandparents are in their late 80's, don't they look amazing?! My Mum & Brother are also in this photo, taken by my gorgeous sister-in-law, and whilst it looks like we have colour coordinated, it's just a coincidence! So that's it for my September favourites, October favourites will be here before we know it, as usual, it will be the last Sunday of the month. I hope you enjoyed reading and might even give some of the things a try. I would love to hear from you if you do or if you have favourites I should try, so do get in touch.